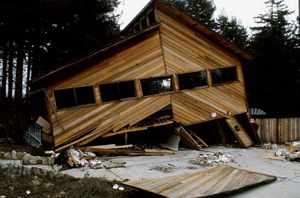 Twenty-five years ago, the Loma Prieta quake rippled through Santa Cruz and the Bay Area, causing devastation and tragedy. What have we learned about earthquakes since then? Epicenter sign in the Forest of Nisene Marks State Park. On October 17, 1989, at 5:04 p.m., Susan Schwartz was jogging with a colleague on a field at UC Santa Cruz when the Earth began to shudder and the ground slipped beneath them. Schwartz, a postdoctoral fellow at the time, could barely stand. The initial 6.9 magnitude quake was over in 15 seconds. That quarter-minute was enough to make the Cypress Street Viaduct on the Nimitz Freeway tumble in Oakland, smashing cars and killing 42 people. A section of the Pacific Garden Mall in Santa Cruz collapsed, crushing three people. When the shaking stopped, 63 people were dead already or mortally injured, nearly 4,000 were hurt, and thousands were left without homes. But Schwartz, of course, had no way of knowing all this. She only knew that "something very significant" had happened. 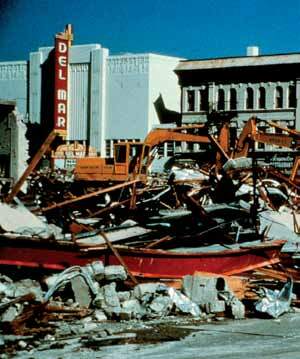 She saw a few frightened people sitting on the ground feeling aftershocks near the Earth and Marine Sciences Building; books scattered over floors; and people gathered around battery-powered radios relaying distorted reports of the devastation: The whole Bay Bridge had collapsed. People were out in the water. "And, of course, part of the bridge did collapse, but the initial transmissions were a little bit exaggerated," Schwartz recalled. Then she took a walk on campus, looked out at downtown Santa Cruz, and saw the smoke of fires from broken gas mains. The Loma Prieta quake—25 years ago this month—has become a touchstone in modern Central Coast history, a dividing line between "before" and "after" in the memories of long-time Santa Cruzans who remember the tragic deaths, the demolition of beloved landmarks like the Cooper House, and the dramatically altered look of downtown, including the reconfigured "Pacific Garden Mall." But it's also a touchstone in the history of seismology. This year, three UC Santa Cruz seismologists—Schwartz, along with Thorne Lay and Emily Brodsky—looked back on that frightening time and reflected on just how far earthquake studies have come since then, while considering the work that must be done before scientists can more reliably predict quakes and prepare Californians for "the big one." And make no mistake, these scientists say—a big one is coming. When he looks at recent California history, Lay senses a quake "deficiency," and has a strong concern that "faults have been building up strain for a long time. We are due for an earthquake. Judging from the rates that plates are moving and faults are deforming, there is a 60-80 percent probability of a magnitude 7 quake around the Bay Area in the next 25-30 years." The quake that rumbled through Napa in the early hours of August 24 was a stark reminder that the Bay Area rests on a landscape with underground plates "grinding steadily along," said Lay. "These little snaps and pops are part of the expected behavior of the fault system." He said scientists simply don't have any way of knowing how a relatively minor quake such as the one in Napa would have any bearing on the "big one" that is bound to come. And while he noted the "substantial impact," Lay said that it was "nowhere near the largest that are likely to happen in the area." Lay says the East Bay and the San Francisco Peninsula are more likely candidates for quakes than Santa Cruz in the near future. But it would be "silly," he said, for any Northern Californian not to be prepared. The outcome of the Napa quake—which caused $1 billion in damages but no fatalities—gave him some hope that Northern California has been learning from past experience. If a comparable quake had happened in China, he said, hundreds would have been killed. Of the current seismologists at UC Santa Cruz, Schwartz was the only one on campus at the time. Brodsky was still a high school student in New York, watching the World Series that day—the San Francisco Giants vs. the Oakland Athletics at Candlestick Park. Suddenly the picture cut out. Lay was a seismology professor at the University of Michigan, where ice storms posed a much more pressing concern than underground temblors. He had already been hired by UC Santa Cruz and was preparing to take the job. After the quake, he flew out to California, where he joined an ongoing aftershock study and headed out into the mountains. This was his first encounter with a quake's devastating aftermath. The damage and loss of lives were modest compared with the huge quakes that have struck other parts of the world more recently, such as the 20,000 fatalities from the Tohoku earthquake in Japan in 2011 and quarter million fatalities in the Sumatra quake and ensuing tsunami of 2004. 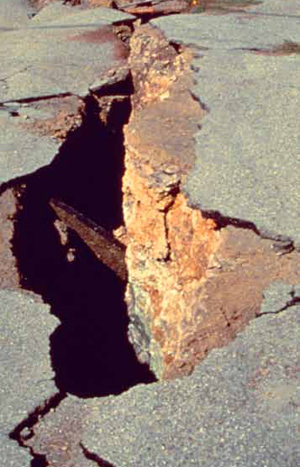 Still, Loma Prieta exposed the area's vulnerability. Bottled water supplies ran out quickly at local supermarkets. Those who had not saved fuel soon experienced shortages. "The net impact was huge," Lay said. He also noted that there is still a vacant lot downtown where a building was destroyed and has yet to be rebuilt, saying, "there was a multi-decade effect on the economy." Santa Cruz was forced to reckon with the fact that downtown structures are built on a weak riverbed and vulnerable to strong shaking, Lay said. "The impact was …filled with lessons on how to implement wise decisions in land use, and do very good engineering and prepare for the inevitability of quakes." Earthquake studies were not quite in the "dark ages" at the time, "but it almost felt like a cottage industry," Lay said. Scientists had embraced digital quake-recording technology, leaving behind old analog earthquake- recording devices that used rolls of paper, needles, ink, and rotating metal "drums." But retrieving data was still frustrating and cumbersome. "You had to dial in with modems to a few individual stations," Lay said. If the Loma Prieta quake happened today, the information would be available almost instantly to a global research community with 1,500 research stations worldwide. The art and science of earthquake analysis has also changed a good deal since then—and UC Santa Cruz has been part of that leap forward. Lay specializes in integrating seismic, GPS, and tsunami data. Schwartz uses high-tech portable equipment to study areas that have both volcanoes and quakes like Costa Rica and northern New Zealand, while trying to understand the diversity of slips that occur on faults. Brodsky and her team have drilled directly into the fault that caused the Tohoku quake in Japan, taking its temperature to gauge friction heat generated during the fault slippage. The Gordon and Betty Moore Foundation funded this work in 2012, with a grant of more than $750,000. She has worked on a diversity of topics including the long-range triggering interactions of various quakes. "Because of the way seismic waves travel, they sometimes trigger other earthquakes," Brodsky said. "If you have sensitive enough instrumentation you start to see these small signals as an important part of the system." Even small quakes can influence other quakes. "They are always talking to each other," she said. And Brodsky is among the scientists who study the effects of shaking on groundwater systems, and how fracking and hydrothermal activities can trigger earthquakes. The notion that earthquakes are always "acts of God'' becomes woefully outdated when seismologists consider the various ways that water, being pumped in and out of the ground, can affect the slippage along a fault. Brodsky pointed out that significant fracking and hydrothermal activity is going on right here in California. "People make quakes all the time,"she said. Schwartz attributed some of this impressive progress to advances in computer capabilities, including simulated seismic waves shaking the Earth. She also noted that GPS sensors placed on either side of a quake fault can give scientists a better sense of strain along the fault. "That still won't tell us when it is going to occur," she said, "but it does give us a better sense of where most of the slip (along the quake fault) will happen." Aside from their groundbreaking research, all three of these professors have found ways to communicate their findings in an accessible manner to students, community members, and reporters. Brodsky, for instance, is well-known for using everything from whole-wheat matzo crackers to bricks and bungee ropes to demonstrate the mechanics of the Earth's crust breaking, and the build-up of strain along a fault. In the process, through intensive research as well as teaching, these professors have helped increase the baseline understanding of quakes worldwide. "We don't do a lot of quake prediction, " Schwartz said, referring to UC Santa Cruz faculty, "but to improve quake prediction you must improve the base of understanding—and we have made a very large impact on understanding the basic physics of quakes." While scientists have made great strides in understanding quakes, and at least have a better grasp of when a quake might happen and which faults are active, reliable quake prediction is still a long way away. This is not to say we have no capability of predicting quakes. Scientists have been able to determine the likelihood in a broad sense—usually over a span of 10 years or more—while closing in on certain sections of certain faults that are likely to slip in a given time period. Since 1989, scientists have pioneered the use of GPS sensors to be placed on either side of a fault and tracked every day, showing them how the rock is slowly deforming, straining, bending to a breaking point. The trouble is, there is some elusive transition that occurs right before a fault fails. Lay likened it to that unpredictable moment when a child stretches a rubber band and builds tension, and then it breaks without warning. "There is no smoking gun that works for all earthquakes all the time,'' he said. "There are indications of precursory phenomena—but it's anecdotal at this point." "Seismology is still a young field," Schwartz said. "We're still learning some fundamental things about the behavior of rocks under certain conditions. Every piece of information we obtain will help us predict, in some sense, but it is a very complicated system." Even in the absence of pinpoint- accurate predictability, Californians can still plan ahead. Every quake along every major fault guides good engineering practices to "harden" the built environment. "This has proven quite successful," Lay noted. "The total loss of life in the 1989 quake and in the Northridge quake of 1994 has been relatively small." Still, he said that many structures in California are still not retrofitted, which troubles him, especially considering that some active faults have yet to be discovered. "Sometimes we first learn about faults when they first rupture," he said. "Northridge was a fault that was not previously recognized (prior to the earthquake)." Lay is also concerned that life lessons from Loma Prieta are "starting to get pretty far away" from local memory, in part because "a whole new generation of people has never run into how frustrating it is to go four or five days without fresh water, and you can't function normally or drive because the roads are messed up. "We need to remind people to take advantage of this anniversary," he continued. "There are practical measures that are not too expensive but pay off a big benefit eventually." Among those measures: understanding how to shut off the gas at your house, how to turn off the water to avoid contamination, stocking up on fresh water and fuel. After all, he said, "this is not going away. It is endemic. There will be another big earthquake."